My NS Business Card says 'geen abonnement'. 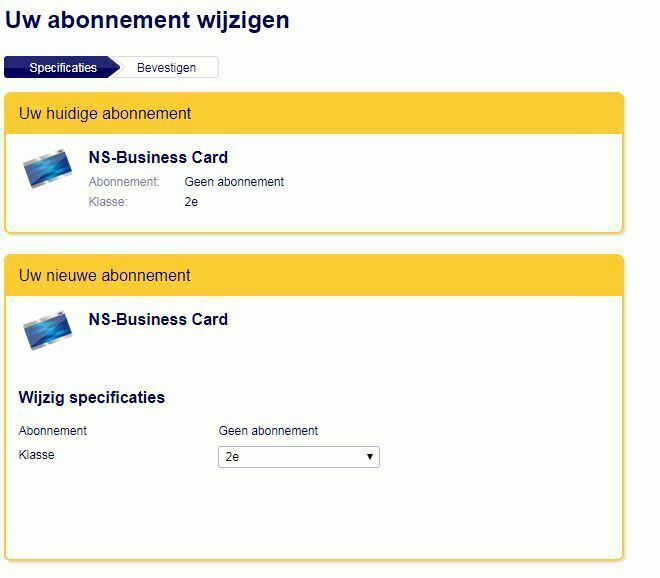 I want to have the 'OV Vrij abonnement' on my NS Business card. How to get that? I got my NS business card from my employer. I would like to have the OV Vrij abonnement on it so that I can use it all over Netherlands without having to pay separately for my public transportation trips. But when I login into the NS business Card website, it says I currently have No Subscription. But it is not showing me any option to get my subscription (as show in the below attached screenshot). How do I get the Subscription I want on my existing Business Card??? Hi krishna_ and welcome at our community! Our customer service can help you to solve this. You can call us at: +31 30 300 11 11. You can also contact us at Twitter and Facebook.